I want to discuss silver, interest rates and inflation in a little different way. No charts or graphs; just some common sense and basics. It’s not uncommon for people around my age group to use money managers and brokers to manage their money. People who have a lot of money often invest in tax-free bonds. If you have a lot of money, and no income (retired), it seems like a smart thing to do. And it is – if you believe that inflation IS running around 2%. And that’s what most people believe, because that’s what most people are told by CNBC, their money managers, and their financial advisors. I understand. But what if inflation really isn’t running at 2%? How dare I even suggest such a thing? Most of my readers know better. I’m always presenting John Williams (Shadowstats) “real” numbers (currently around 9%). An old friend (we go back to 1972) has been staying with me here in Miami. I always enjoy seeing him, so we can relive our crazy past. Anyway, he told me he recently found a stash of 30 Mercury Dimes (90% silver) and he checked out what they were worth on Google. He was thrilled. They were worth around $90.00. Let’s talk in rough numbers. 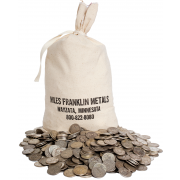 Currently, a bag of $1,000 face value pre-1965 silver coins (dimes, quarters or half dollars or any combination of these coins) is worth around $23,000 or more (depending on current spot price and market conditions*). In every-day common language, the kind of language that the guy next door understands – that means a silver dime is worth around $2.30! I’m not factoring-in a “numismatic” premium here; a plain old dime’s (real money) value has INCREASED 23-times in roughly the last 50 years. In order for a dime to go from $0.10 to $2.30, according to the Rule of 72, it takes 4.5 doubles to get the necessary return to match the silver dime’s performance. 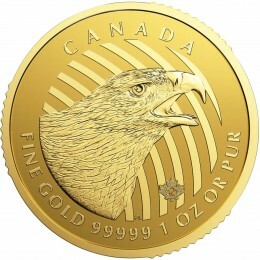 ($0.10 to $0.20 to $0.40, to $0.80 to $1.60. and roughly another half double, to get to $2.30). Let’s just call it 5 double, in 50 years. That’s close enough. That’s a double every 10 years (50 years and five doubles). In order to double your money in a 10-year period, it requires an annual, compounded return-rate of 7.2% per year, every year. Using “real money,” the dime, that’s what it takes to break even, to make nothing, after inflation. Yes, your “money,” the current non-silver dime, lost 7.2% of its value per year – for the last 50 years. 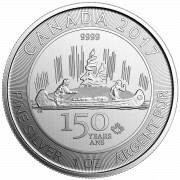 Recently, when silver was closer to $50, the number would be $3.60 per dime, and it would have required double-digit returns, compounded, for the last 50 years. Personally, I really believe that silver will hit $50 in the next few years (or sooner). This is just another way of saying, for me, bonds of any kind, including the tax-free kind, aren’t for me. Jim Sinclair pointed out that interest rates can’t rise with QE. The very purpose of QE is to provide low interest rates. 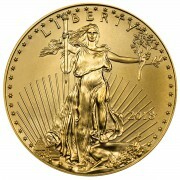 The inflationary programs will both cause interest rates to stay low and gold and silver to rise. It’s pretty straight-forward and logical to me. Back to the bonds – if you need the income that they throw off, they are a good choice.., but if I’m correct, and the dollar falls (See Sinclair quote above), inflation will become a concern, and viewed with a longer-time line, the money you park in tax frees is losing value faster than it is throwing it off. Meanwhile, silver (and gold) are increasing at a rate faster than inflation. Actually much faster. No charts, no graphs, this is just the simple truth that a pre-1965 dime is now worth around $2.30 and will soon be worth $3.60 minimum (or twice that) as the Precious Metals Bull Market – and especially silver – enters into the final blow-off phase. A reader wrote in and said he liked the newsletter and most of the content, but why couldn’t I be more up beat and positive? I wasn’t aware that I come off that way, but if I do it’s just because I am trying to be a realist. I’ll tell you what – as soon as the “numbers” get better, our leaders in Washington D.C. and at the Fed cut way back on borrowing and QE money expansion – then I’ll find a whole bunch of things I can write about that will be positive and fun. It couldn’t happen a moment too soon for me.